For those in search of solitude, this wooded canyon is one of the least explored in the area. This trail starts in a lush forest, and crosses many feeder streams as it works its way up. 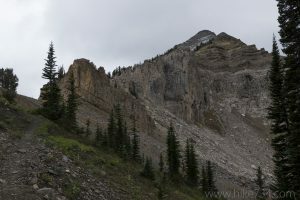 The forest gradually gives way to more open landscapes and glimpses of the surrounding mountains before climbing up to Phelps Lake Overlook at the top of the ridge. Phelps Lake stretches out below you from this picturesque perch. Continue on through the trees and open meadows as you switchback down into the valley below. The mighty walls of Death Canyon come into view as you get closer. Views continue as you drop down to the trail junction that leads to the lake. Take a left at the junction where you enter into the forest at the head of the lake. Take a right onto the Phelps Lake Loop Trail towards the creek that exits Death Canyon. After crossing the creek and traveling through the cool forest, you quickly reach the junction for the Open Canyon Trail that takes off up the hill to the right. For the next 5.3mi/8.5km, you spend most of the time steadily climbing up through the forest. The beginning of this section up the canyon is in a drier, south-facing slope. Views looking down the canyon are framed by trees with Phelps Lake being the frequent subject. The trail drops into the bottom of the canyon and crosses over the creek to the cooler and wetter north-facing side. As you get higher, you get a couple of views out to Jackson Hole. The views up the canyon and the surrounding gray rock, broken up by vegetation, are fantastic. The last upper stretches transition to the subalpine with stunted trees, boulder fields, and low growing plants. Pikas and marmots are plentiful as you approach the divide. From here you have dramatic views looking north to Prospectors Mountain and south to Rendezvous Mountain topped with the aerial tram system. An alternative route begins at the LSR Preserve and follows the west shore of Phelps Lake. 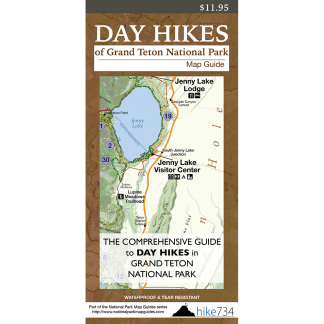 This alternative route is more level but longer, adding 1.8mi/2.8km round trip to the hike. An alternative trailhead starts at the Laurence S. Rockefeller Preserve. Take the Moose-Wilson Road south from Moose to the preserve. The trailhead is located in the parking lot.